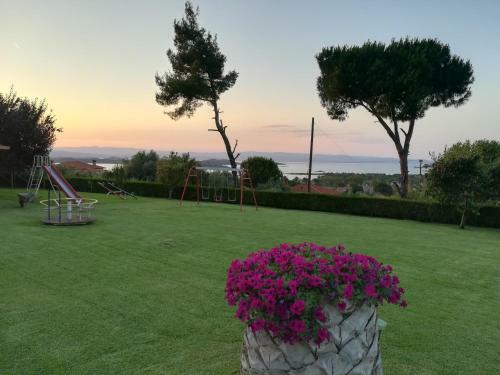 Fantastic place with an incredible beautiful and well kept garden, astonishing view of the sea. Accommodation was very good,, full function kitchenne, lots of facilities, A/C, bbq, very clean. The hosts was an extremely nice, welcoming and friendly family, everything was just perfect, we can't wait to come back again and we will definitely recommend this location. Beautiful place, beautiful and kind host. It exceeded our expectations.We went there with our kids, 8 months and 4 years, and they absolutely enjoyed it. All the location is extremely clean, they come and clean the rooms, the personnel and host are very kind. 10+ for this place that made our holiday perfect. The place is very quiet and green with a very well maintained garden. The hostes are very friendly and helpful. WF connection is OK.
Great place. Rooms are very clean, every third day sheets and towels were changed.The owners were so nice and helpfull, but discreat. Beautiful garden, great wi-fi signal. Everything was even beter than the pictures show. We were felt like at home. Lovely hosts! 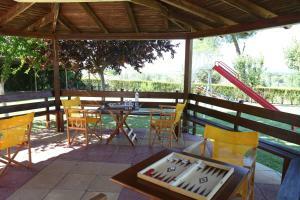 Great location, excellent facilities and great garden with lush lawn. Very nice view to the sea. Two fire places with four grilling racks and two gas furnishes for cooking fish on the backside of the house. Parking lots in the shade. Great place to chill and have a great holiday for couples and families with children (playground on the front). For the luck of a better word, it's just perfect. 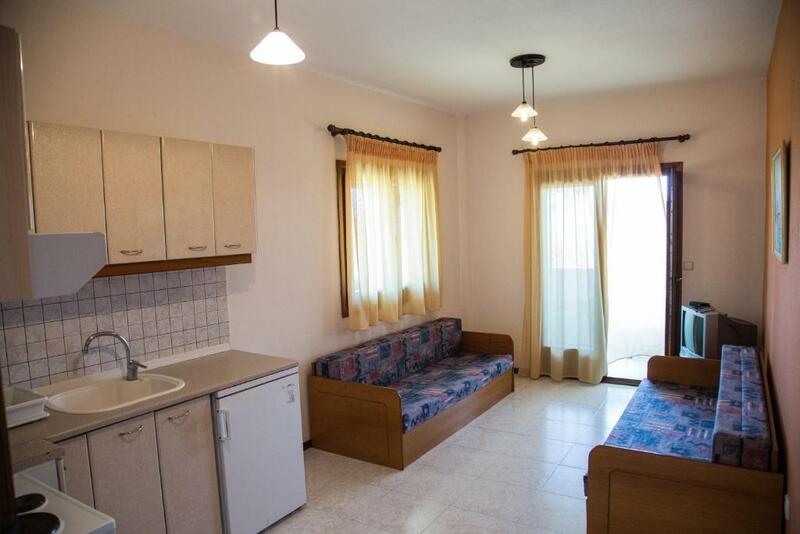 Very nice and helpful hosts, very clean appartment, beautyful garden. Очень чисто, есть все необходимое для жизни. Очень красивая, ухоженная территория. Много приятных уголков, где можно провести время. Детская площадка с качелями-каруселями-горкой. Замечательные газоны, где детям хорошо бегать босиком. Но сюда только на машине. Пешком все далеко. И пляж, и магазины, и кафе. 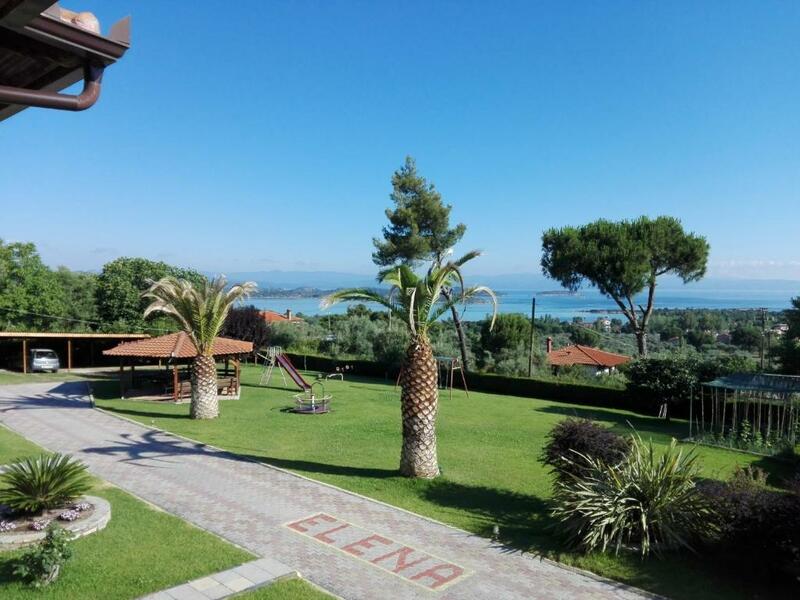 Lock in a great price for Elena Apartments & Studios - rated 9 by recent guests. Set amidst a well-tended garden, Elena Apartments & Studios is a 5-minute drive from the beach in Vourvourou village. 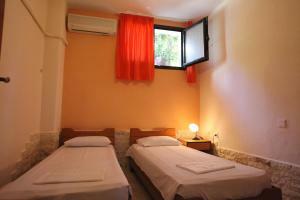 It offers self-catering accommodation opening out to a furnished balcony with Aegean Sea views. Free WiFi is available in all areas. Featuring tiled flooring and warm-coloured wooden furnishings, all air-conditioned units at Elena Apartments and Studios come with a TV and a seating area. Each also has a kitchenette with fridge, cooking hobs and coffee machine. Younger guests can have fun in the children’s playground found in the premises. 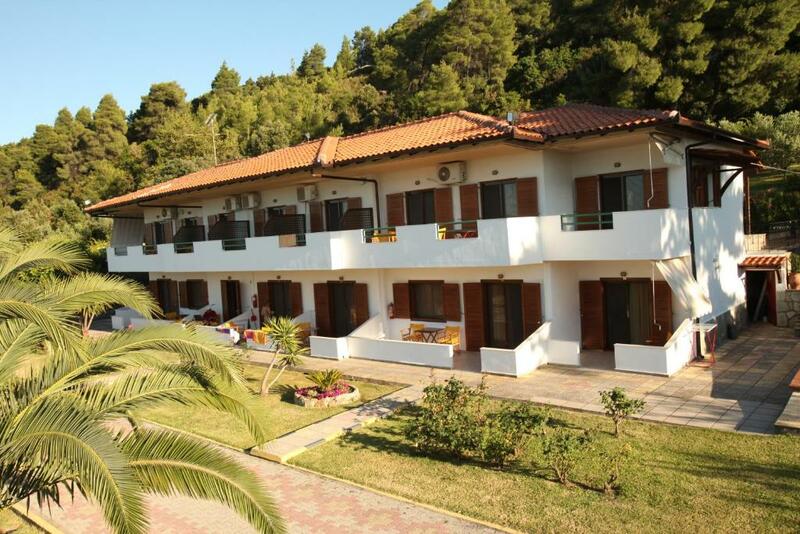 Sarti resort can be reached in 15.5 miles and Thessaloniki City lies within 68.4 miles. Free private parking is provided on site. 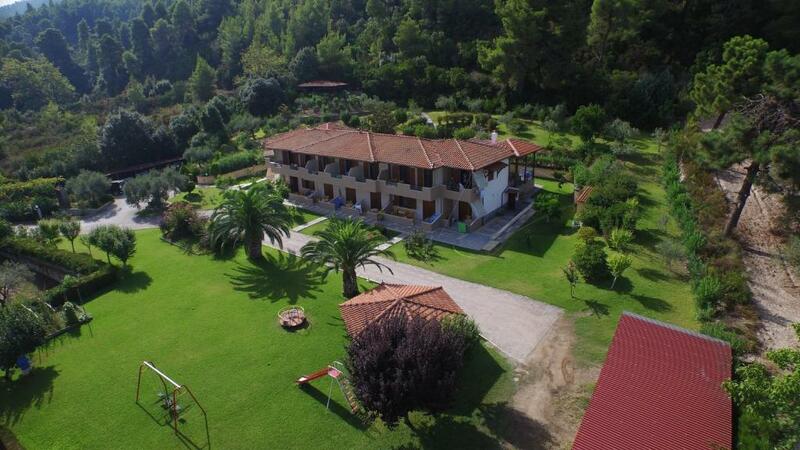 This property is also rated for the best value in Vourvourou! Guests are getting more for their money when compared to other properties in this city. Elena Apartments & Studios has been welcoming Booking.com guests since 24 Mar 2014. When would you like to stay at Elena Apartments & Studios? 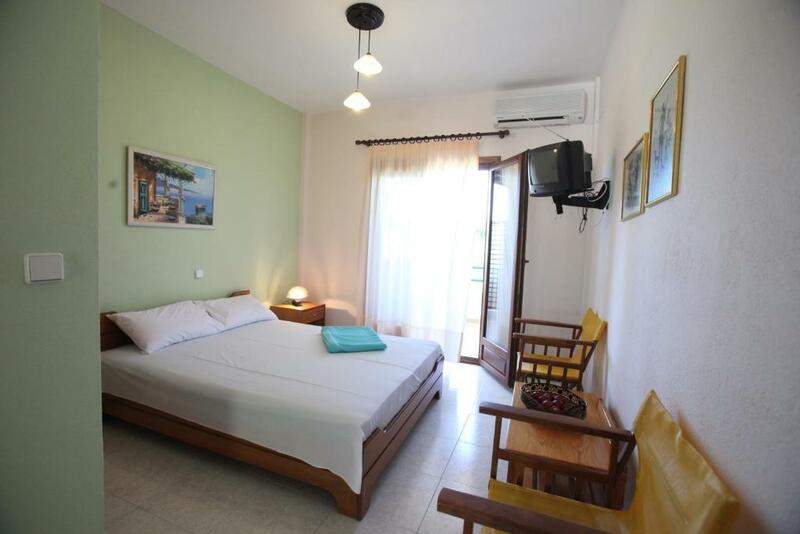 Opening to a furnished balcony with Aegean Sea views, this simply decorated, air-conditioned studio comes with a TV. It also features a kitchenette with fridge, cooking hobs, mini oven and coffee machine. Free Wi-Fi is available. Featuring a separate bedroom, this simply decorated, air-conditioned apartment opens out to a furnished balcony with Aegean Sea views. It comes with a TV in the seating area. It also features a kitchenette with fridge, cooking hobs and coffee machine. Free Wi-Fi is available. Featuring 2 separate bedrooms, this simply decorated, air-conditioned apartment opens out to a furnished balcony with Aegean Sea views. It comes with a TV and a seating area. It also features a kitchenette with fridge, cooking hobs and coffee machine. Free Wi-Fi is available. House rules Elena Apartments & Studios takes special requests - add in the next step! Elena Apartments &amp; Studios accepts these cards and reserves the right to temporarily hold an amount prior to arrival. Elena Apartments & Studios accepts these cards and reserves the right to temporarily hold an amount prior to arrival. The breathtaking view from the balcony , the beatiful garden, room was very clean and comfy. Close enough from Vourvourou and Ormos beaches. Very small bathroom, kitchen could be equipped better. The place is situated on a hill above Vourvourou and you need a car to reach the restaurants, shops and beaches. The distance is short but there aren`t any pedestrian paths. The balcony view is amazing! There is no cold water. The doors creak. The furniture is old. 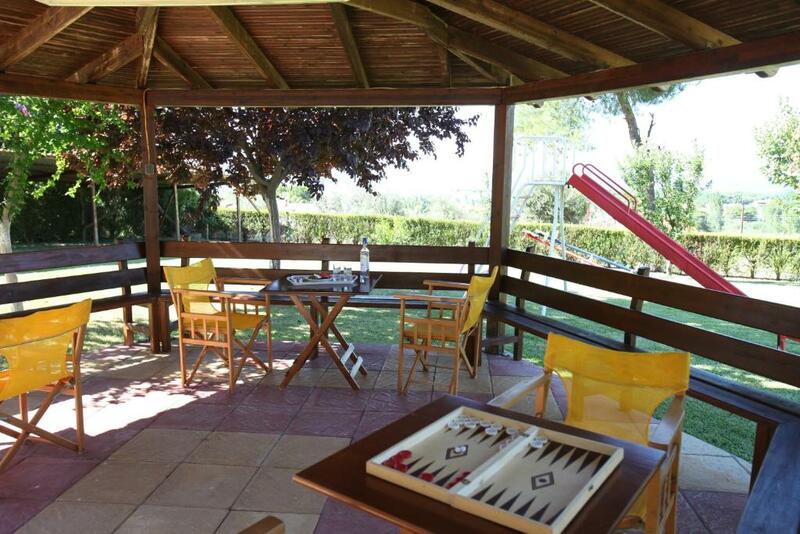 There is a large and nice garden, very well supported, with facilities for the kids. Our child liked it a lot. And there is a sea view from the garden.